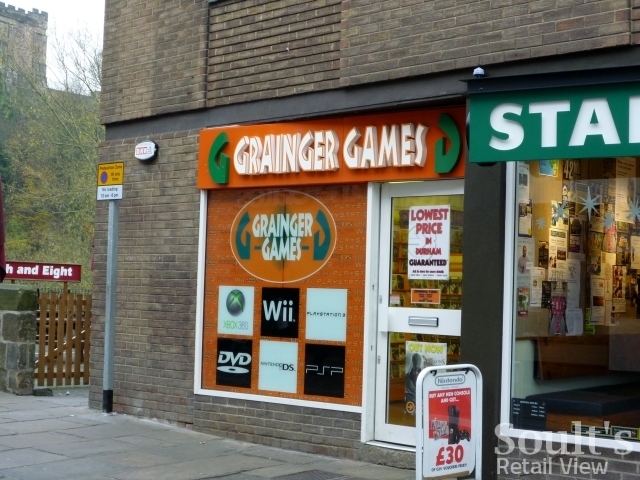 A year and a half after 21 North East stores closed following Game’s collapse into administration, two of those shops – in Grainger Street, Newcastle and High Street West,Sunderland – are reopening. 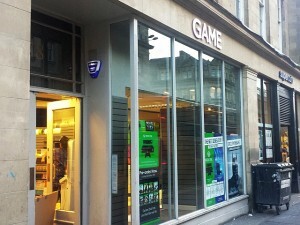 The Gamestation-branded shop in Grainger Street was one of four Newcastle city centre Game stores at the time of the chain’s collapse in March 2012, only one of which – in Eldon Square’s Chevy Chase – survived the cull, and was picked up by OpCapita as part of its rescue of 333 shops. After sitting empty since then, the store – which has already been tweeting in the build-up to its launch – was hoping to be ready to open this morning, rebadged under the Game fascia that OpCapita has applied to all the stores that it acquired. Meanwhile, the GAMENewcastleGS Twitter account confirmed that the activity I spotted at the former Sunderland High Street West branch last week was indeed the premises being prepared for reopening. 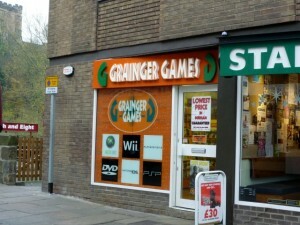 Again, as in Newcastle, there is already an existing Game store, in The Bridges shopping centre, which was saved as part of the OpCapita package. After 18 months in which the company’s new ownership has rightly focused on stabilising the existing business – with, as far as I’m aware, few if any new stores being opened – it’s interesting that these two should be picked out from the 277 Game shops that closed immediately upon the business’s collapse. 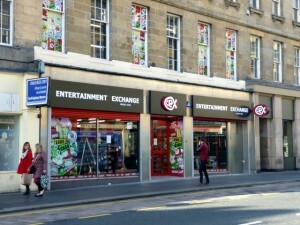 In Newcastle’s case, you suspect that the opening of rival CeX a year ago – directly over the road from the reopened Game – may have something to do with it, given the opportunity to tap into that footfall and reinforce Grainger Street as a destination for gamers. The Sunderland reopening is a little more hard to fathom, but perhaps it’s a sign that High Street West is starting to get a much-needed boost from the opening of Primark last year and the takeover of the ex-TJ Hughes site by Poundland. Whatever the reason, it’s a welcome boost to a city centre that has, as I blogged last week, had its fair share of closures in recent years. The store reopenings are also a good opportunity to reflect on how Game has evolved in the months since its collapse and rescue. As the decline and eventual disappearance of serial-collapser Ethel Austin demonstrated, rescuing a failed business only ever works if you tackle the problems that brought it crashing down in the first place. So how has Game fared so far on that measure? A wasted opportunity to capitalise on the positives of the acquired Gamestation brand and shops – including its quirkiness and customer loyalty – and to spread that across the more corporate-feeling Game estate. I should also have mentioned, of course, the competition from Amazon and the big supermarkets, all of which have muscled in on the games and consoles market in recent years, grabbing market share through price promotions that Game – with all its high-street overheads – struggled to match. Looking at the business now, it’s remarkable how far the reinvented Game – which still has a 30% market share, even in its slimmed-down form – has started to do all the right things. An excellent blog post earlier this month, by Econsultancy’s David Moth, highlighted the initiatives that the new management has introduced, centred around a genuine multichannel strategy that “aims to build the UK’s most valuable community of gamers”. For example, there’s the Game app, which creates a personalised experience for each consumer, and acts as both a loyalty card and a channel for gaining rewards. More that 750,000 downloads have been logged so far. Crucially, then, there is a sense that where the old Game was a physical retailer having to adapt to all the changes going on around it, the new Game is genuinely built on multichannel principles: it’s not merely embracing stores, online, mobile and social media individually, but all the pieces of the strategy seem to connect and feed in to each other. There’s still some way to go – and a need, of course, to make sure that all these right steps result in the business being profitable again – but the reopenings in Newcastle and Sunderland seem to reflect a Game that is regaining its purpose after previously losing its way. You’re quite right there. Gamestation always had a strong ‘quirky’ brand that I think resonated with the gamer culture better than GAME’s corporate feel – having said that I always saw Gamestation as a second rate GAME. Though this could be due to the locations of the two stores in my home town. GAME was in the expensive shopping centre where as Gamestation was located near the cheaper end of town with the bargain shops. It will be good to see GAME bounce back and the other key thing you mentioned, which many high street experts are recommending, is “bringing a bit of pizzazz and theatre back to its stores”. 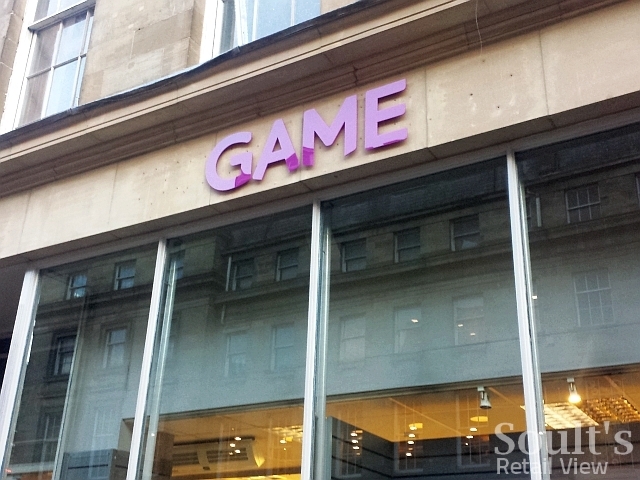 If they can build a strong community and provide an engaging shopping experience (which the Lock-in’s sound great) then GAME could be set to retake the Gaming High Street. It would be interesting to know what deal they have struck with the landlord, and how the rent they are paying now, compares to the rent they were paying at the time of the closure. 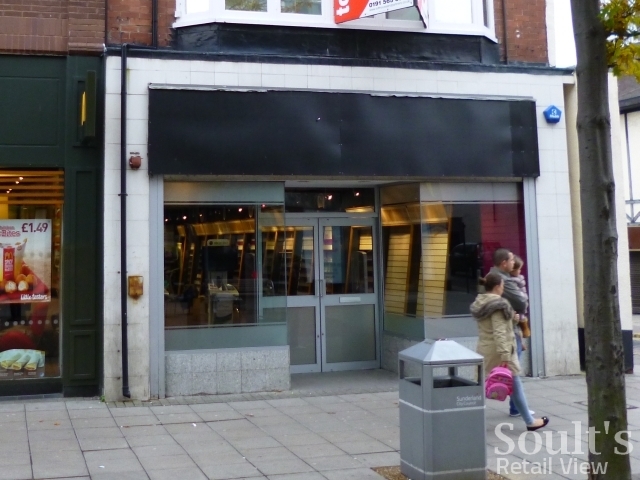 In the 18 months while it has been empty the landlord will have paid tens of thousands in business rates, plus have lost the rental income from the tenant – perhaps if a deal could have been struck 18 months ago everyone would have been better off.